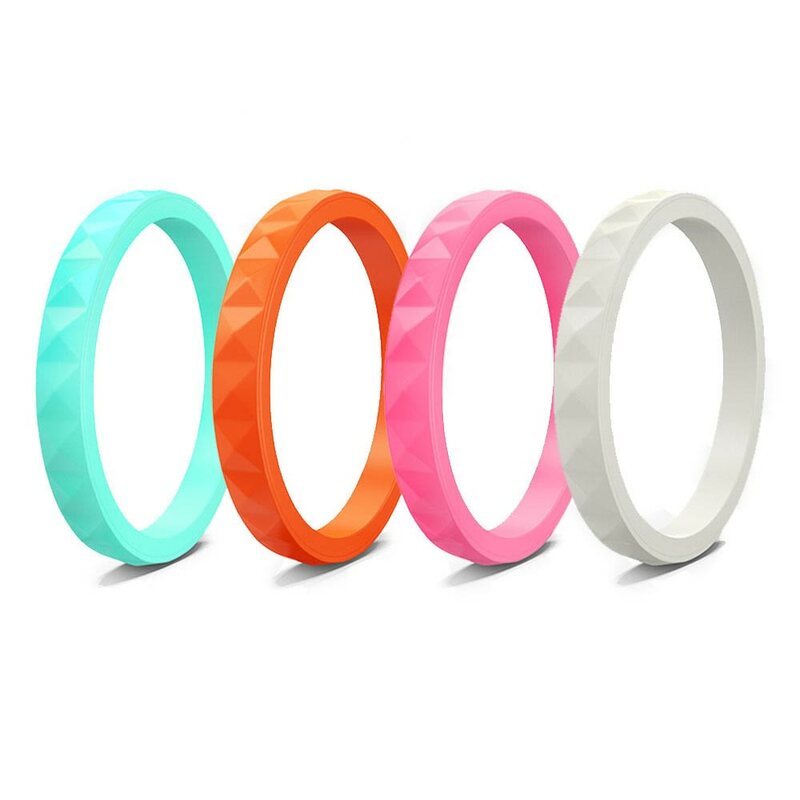 These stackable silicone rings are the perfect accessory to add a touch of pizzazz and show your true colors. Mix and match your rubber rings to your mood. Our summer line brightness your hands and puts the icing on your ensemble cake. Spice it up with brilliant summer vibrancy or don the winter line colors to nestle into cozy confidence and convey your warmth. How are our stackable silicone rings are different? 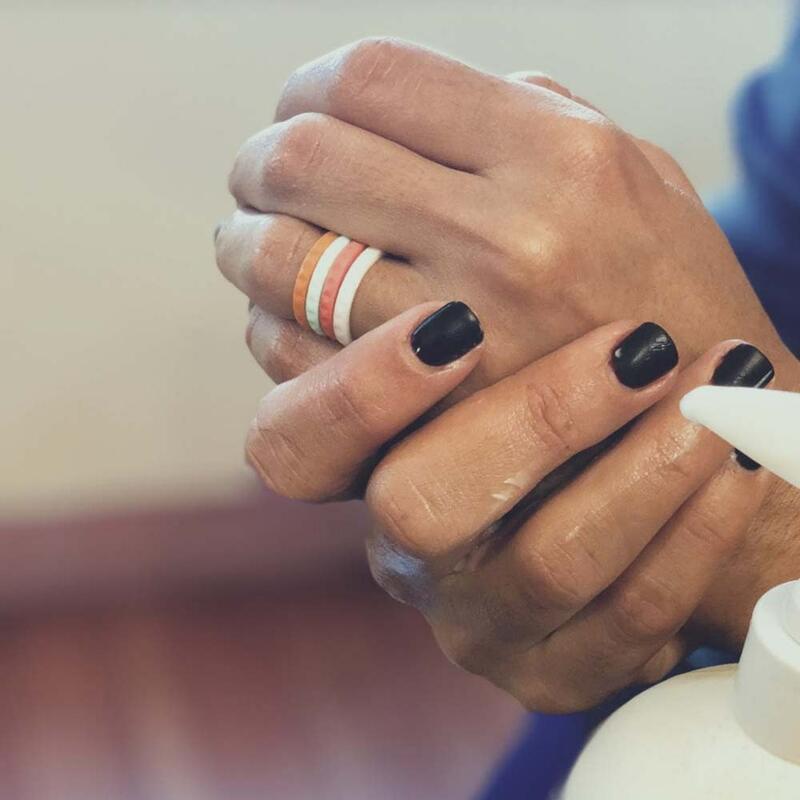 Unlike most silicone wedding bands, which are cast from a mold then sprayed with color, our rubber rings are crafted with the color baked in, so the natural colors are permanent and won't rub off over time. 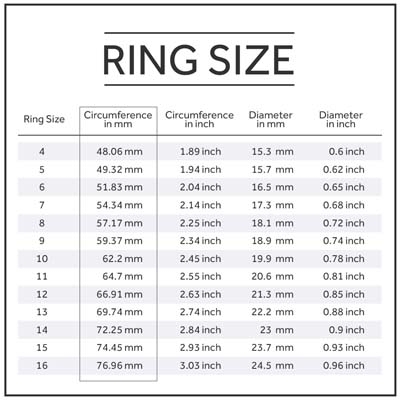 Moreover, our rings are made from premium surgical grade latex and are designed to last. 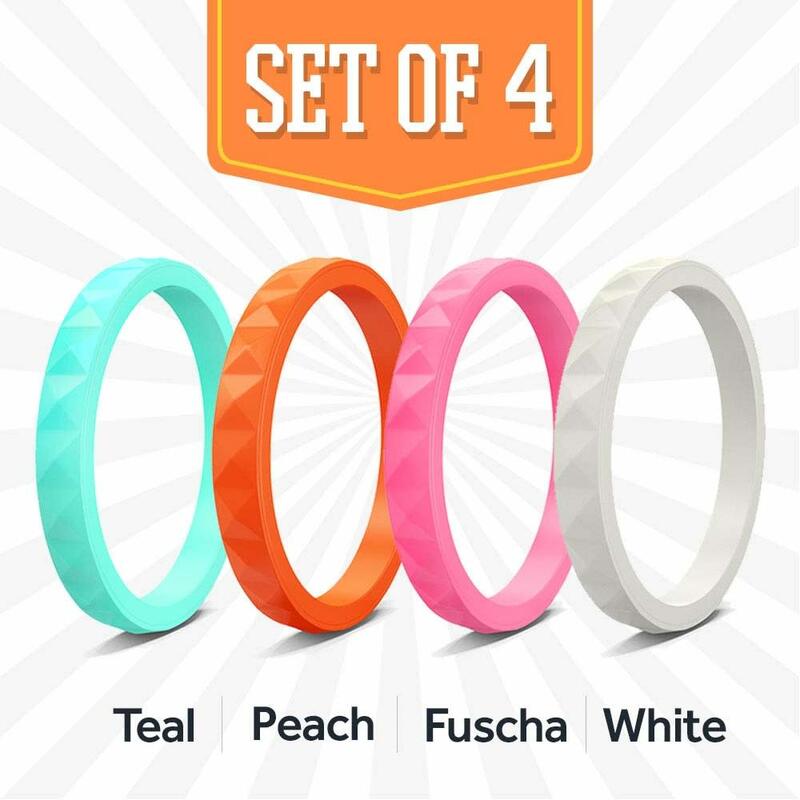 Why wear silicone stackable rings? The simple and non-technical reason is because they are awesome. 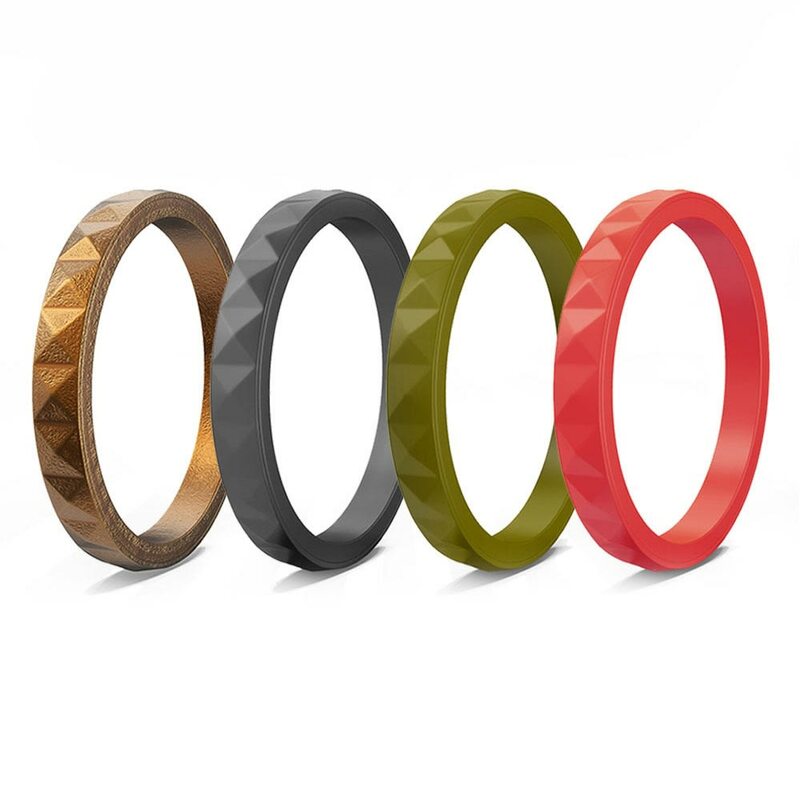 The feel great on your hand and are still symbolic of the sanctity of your relationship, only the are a) more practical b) safer so you'll never have to take it off or worry about jamming your ring finger and swelling c) kinder on your checkbook d) more ecological e) all the rage for a reason. 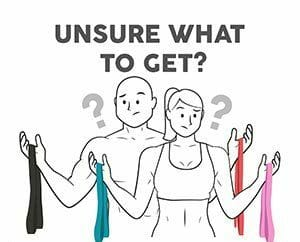 Who wears stackable silicone bands? The concept for the rubber wedding rings may have been weird or hokey at one time. We credit the early adopters for leading the charge. 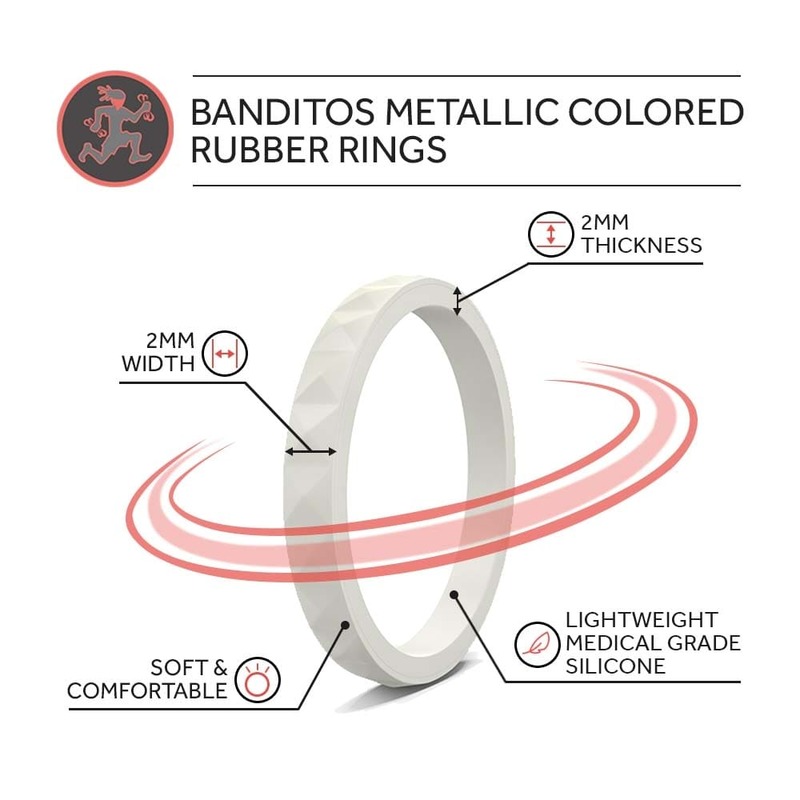 Over the past few years we've seen a steep rise in demand for our rubber wedding rings for men and women who are: athletes, adventurists, people who work with their hands, allergic to metals, functional fashion forward, or are just for those who recognize how slick silicone wedding rings are. 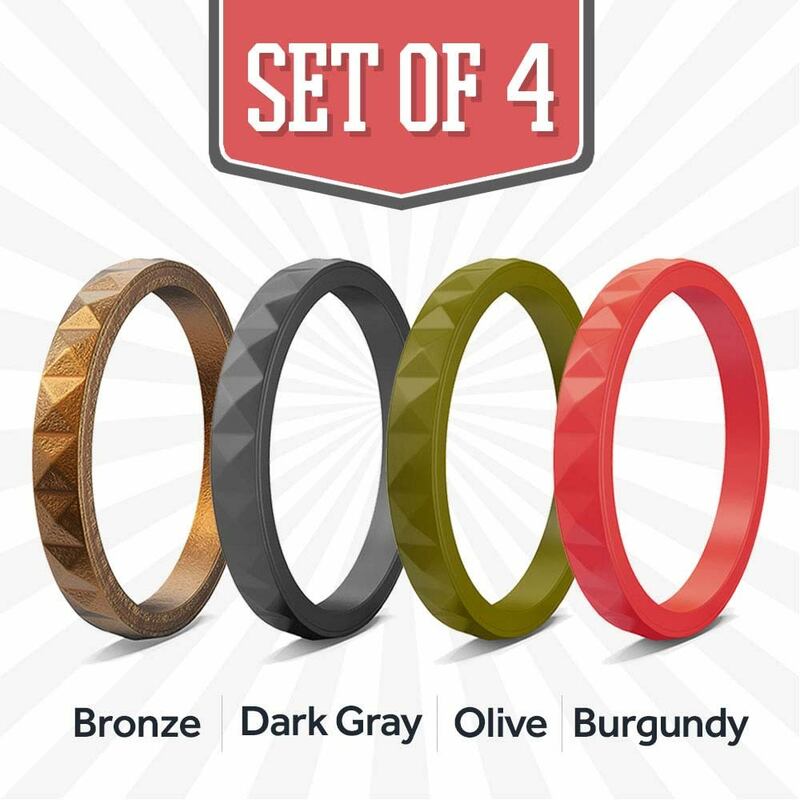 How do I know which stackable rubber ring size to get? Great question. Scroll through the images we posted and find the handy instruction guide. 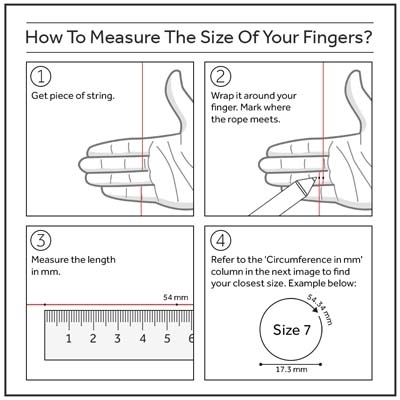 You'll; see how to easily measure your finger and then find the right size in the chart on the following image. What if it doesn't fit or I don't like it? Fear not. 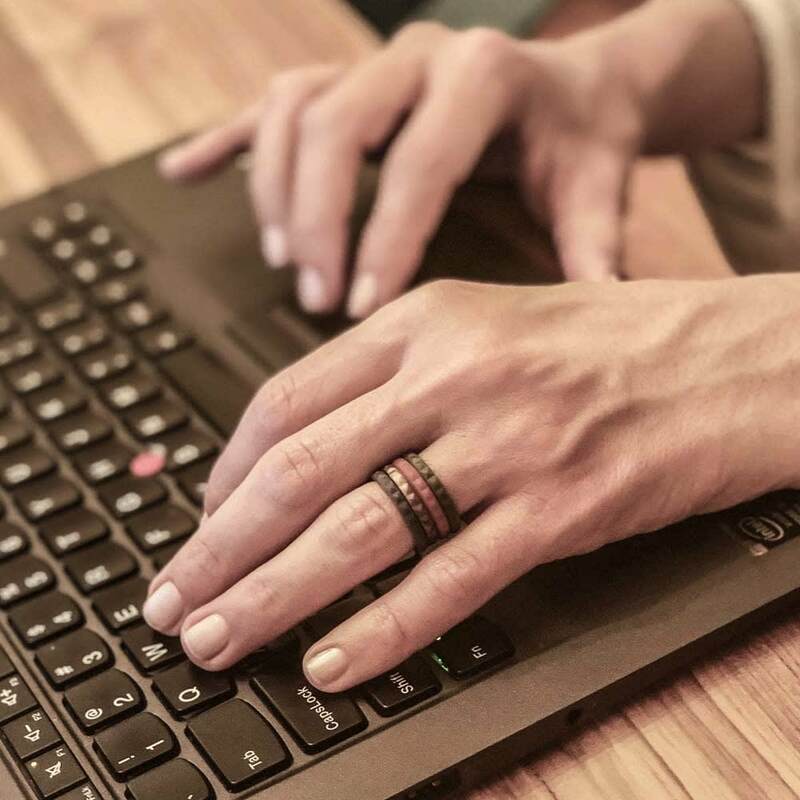 If you find your ring is too big, too small, or just not your thing then send us an email at [email protected] and we'll refund or exchange it for free.